Custom J-Bar Ranch Home w/ Office Space on 1+ Acre Lot. Great Opportunity for A Business Owner that Requires Gated Parking Space for Vehicles. The Home Features Custom Wood Accents & Built-ins, 2 Large Wood Burning Fireplaces, Custom Tile Flooring, Wood Flooring, Vaulted Beamed Ceilings, and Remodeled Kitchen and Bathrooms. Kitchen w/ Slab Granite Counters, Rich Dark Oak Cabinets, Breakfast Bar, and Garden Window. Formal Living Room w/ Bay Window. Family Room w/ Fireplace. Formal Dining Room. 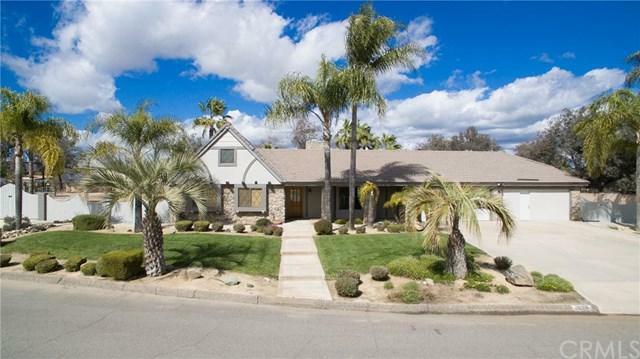 EXPANSIVE Bo Custom J-Bar Ranch Home w/ Office Space on 1+ Acre Lot. Great Opportunity for A Business Owner that Requires Gated Parking Space for Vehicles. The Home Features Custom Wood Accents & Built-ins, 2 Large Wood Burning Fireplaces, Custom Tile Flooring, Wood Flooring, Vaulted Beamed Ceilings, and Remodeled Kitchen and Bathrooms. Kitchen w/ Slab Granite Counters, Rich Dark Oak Cabinets, Breakfast Bar, and Garden Window. Formal Living Room w/ Bay Window. Family Room w/ Fireplace. Formal Dining Room. 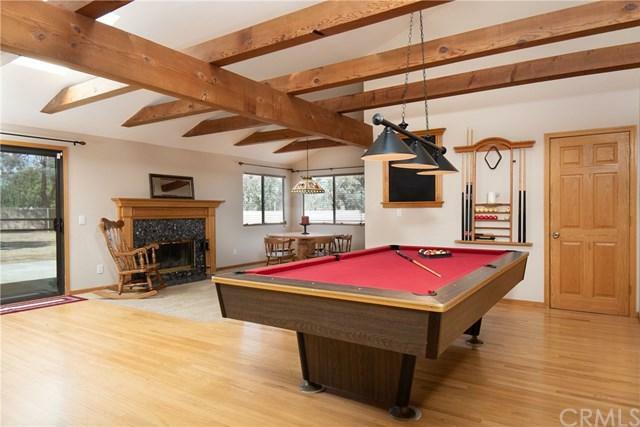 EXPANSIVE Bonus/Game Room w/ Pool Table, Built-In Cabinets, Fireplace, Dining Area and Custom Bathroom w/ Glass Enclosed Shower. Master Suite w/ Direct Access to Covered Patio Area. Custom Master Bathroom w/ Dual Vanity Sinks, Slab Granite Counters, Glass Enclosed Granite Shower, Jetted Tub, and Dual Mirrored Wardrobes. Secondary Bathroom w/ Custom Glass Enclosed Granite Shower. Linen Closet. Laundry Area. Oversized 2 Car Garage. The Other 2 Car Garage has been Converted to a Large Office Space w/ Storage Room. Private Exterior Door to Office Space. Lots of Parking Space. 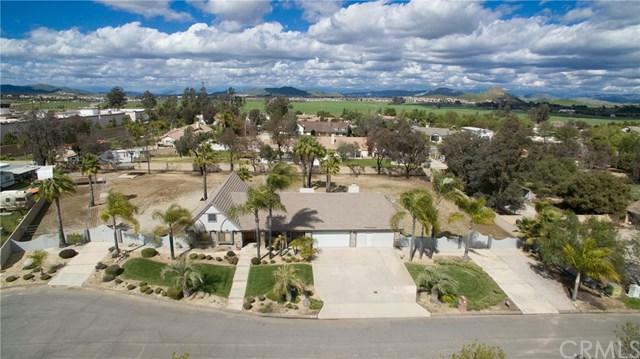 2 Large Double Gates w/ Cement Driveways on Both Sides of Home Access the Level/Flat Backyard. Easy Access for RV Parking and Trucks. Large Horse Corral on Side of Lot. Large Covered Patio Area. Cul-De-Sac Location. 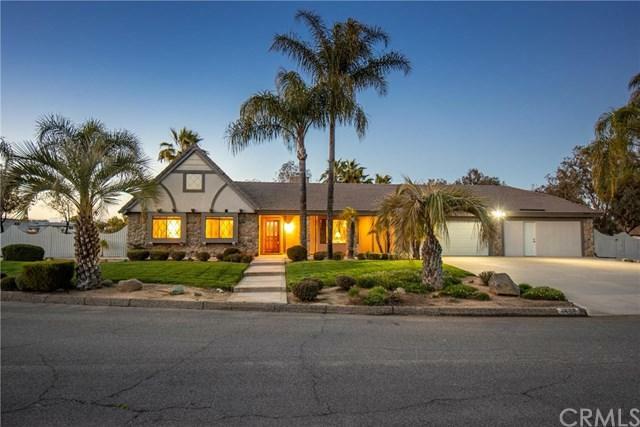 Close to Freeway Access, Shopping, & Dining. A Must See!